I’ve been trying to figure out a menu for the Super Bowl tomorrow. It will be just my husband and I. He’s not a big football fan. (But he loves the commercials!) However, I am a big fan. And I am a New England Patriots fan at that! (Haters, be nice. I have been a fan my entire life.) I am very excited that the Super Bowl is tomorrow and that my favorite team is playing! So I have to do something a little ‘extra’ special for a menu, right? Well, here’s the start. I made a tasty Queso Dip today. This will sit over night and I’ll heat it up again tomorrow before the big game. It’s so easy and only uses 4 ingredients. Cut the Velveeta and cream cheese into cubes. Then place in a bowl to melt in the microwave. Cook the pork sausage until it is browned. Sprinkle some salt/pepper if you’d like. Add the tomatoes, mix well and heat for a few minutes. Stir in the cheese until thoroughly mixed. Heat through. 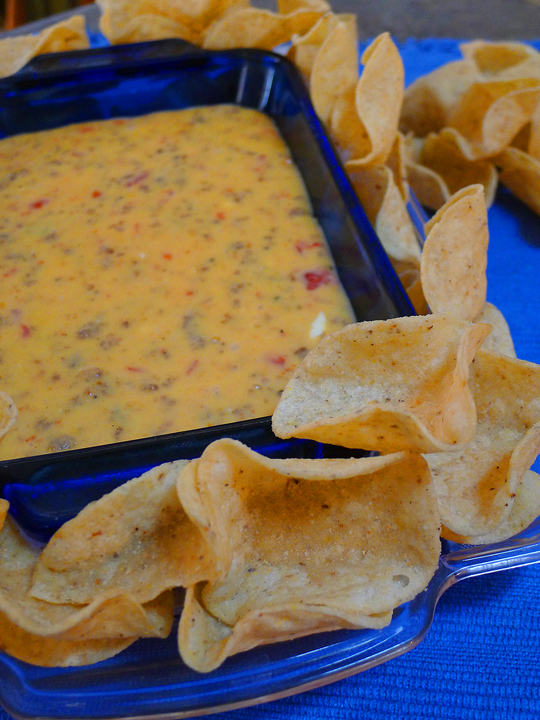 Pour into container and served with your favorite tortilla chips! This keeps well for about a week in the fridge. Melt a little in a small bowl and have with chips for an afternoon snack! 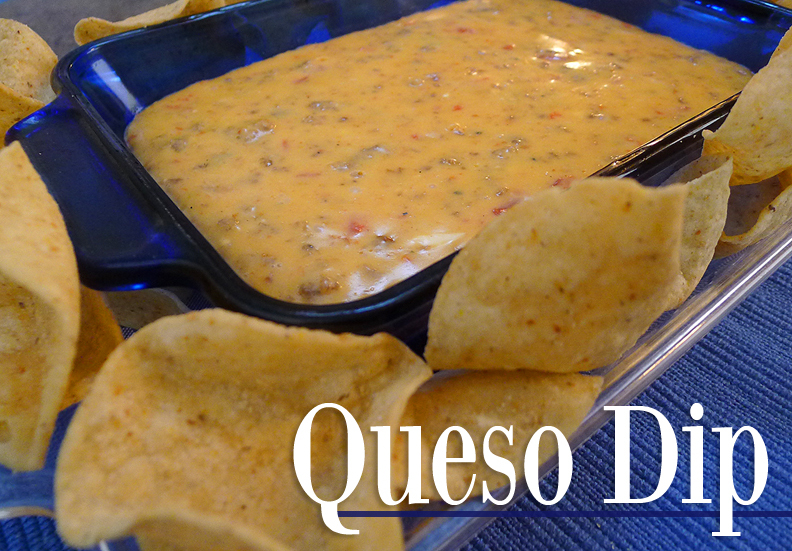 This entry was posted in appetizer, party, recipe and tagged appetizer, cheese, party, queso dip, super bowl, tortillas. Enjoy the SuperBowl! I am not a fan but my husband loves it. I watch it for the commercials, half time show and of course to make a few new dishes!